Six-time Tony winner Audra McDonald, along with a plethora of Broadway favorites and the team behind Grease: Live, were feeling the love when the Emmy nominations were announced on July 14. The main trophies will be handed out at the 68th Emmy Awards, which is scheduled to take place on September 18; Jimmy Kimmel will host. 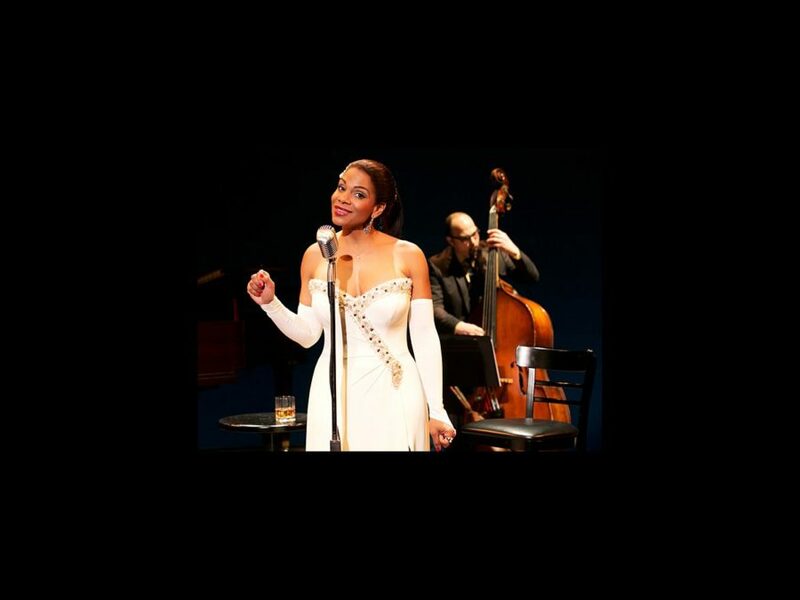 Shuffle Along’s McDonald picked up a nod for Outstanding Lead Actress in a Limited Series or Movie for HBO’s presentation of Lady Day at Emerson’s Bar and Grill; she won her sixth Tony for her performance in the stage incarnation. Others joining her in the category included Sarah Paulson for American Crime Story: The People vs. OJ Simpson (she also received a Supporting nomination for American Horror Story: Hotel) and Kerry Washington for Confirmation. Laurie Metcalf, a 2016 Tony nominee for Misery, garnered three nominations: Lead Actress in a Comedy for Getting On, Outstanding Guest Actress in a Comedy Series for The Big Bang Theory and Outstanding Guest Actress in a Drama Series for Horace and Pete. Bryan Cranston, who won the Tony for his role of LBJ in All the Way, received an Emmy nod for reprising his performance in the HBO adaptation. The film also picked up nominations in the Outstanding TV Movie and Outstanding Music Composition for a Limited Series categories. In the category of Outstanding Lead Actor in a Drama Series, the nominees included Tony winners Kevin Spacey for House of Cards and Broadway-bound Liev Schreiber, while for Lead Actress in a Drama Series, two-time Tony winner Viola Davis was recognized for How to Get Away with Murder. Tony winner (and host of this year’s Tony Awards) James Corden collected a nomination for Outstanding Talk Series for CBS's The Late Late Show. Last year’s Tony ceremony picked up nods for Outstanding Special Class Program and Outstanding Technical Direction. Additional Broadway alums to pick up nods included Unbreakable Kimmy Schmidt's Tituss Burgess for Outstanding Supporting Actor in a Comedy Series, Tony winner Judith Light for her supporting performance in Transparent and Tracie Thoms, who will appear on Broadway this fall in Falsettos, for the web series Send Me. Fox's Grease: Live made history with the most Emmy nominations for a live musical with 10, including Outstanding Special Class Program, Outstanding Directing For A Variety Special (Hamilton’s Tommy Kail), Outstanding Production Design For A Variety, Nonfiction, Event Or Award Special (David Korins), Outstanding Costumes For A Variety, Nonfiction Or Reality Program (William Ivey Long) and Outstanding Technical Direction, Camerawork, Video Control For A Limited Series, Movie Or Special. Meanwhile, NBC's The Wiz Live! garnered six nominations including Outstanding Set Design for Derek McLane (who also received a second nod for the Oscars), Outstanding Costumes and Hair For A Variety, Nonfiction Or Reality Program (Paul Tazewell) and Outstanding Technical Direction.